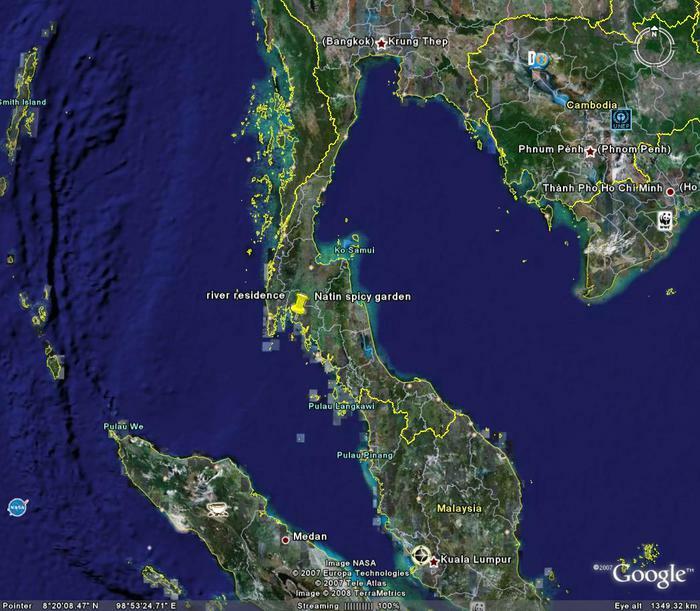 The garden is located at 8°3' 54'' N and 98°48' 32'' E.
On the Google Earth map of Thailand you can see that Ao Nang is about half way Bangkok and Kuala Lumpur. Bangkok, Chiang Mai, Ko Samu, Kuala Lumpur and Singapore offer flights to Krabi airport. Since a short time there are more international flights to Krabi as from India and China. Scandinavia has sharter flights to Krabi since a long time. 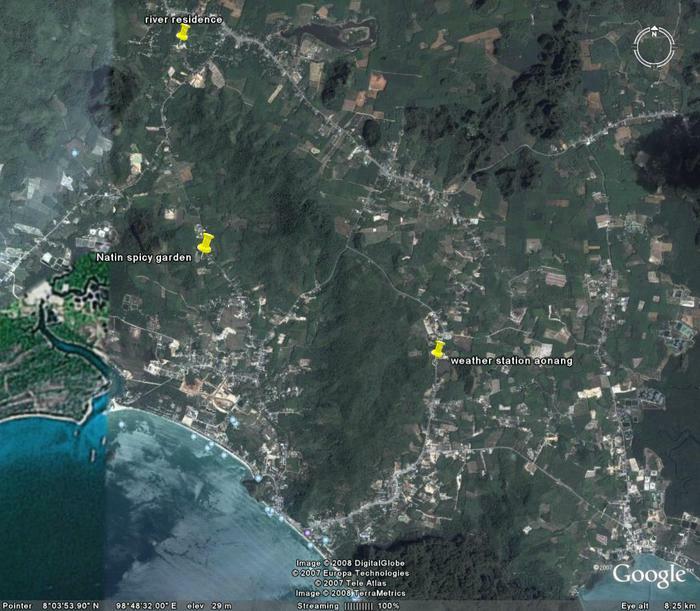 On the Ao Nang area map you see a mark at the location for the Ao Nang spicy garden and also a mark Ao Nang weather station and a mark River residence. Ao Nang weather station is the location of a weather station. Actual weather in Ao Nang. 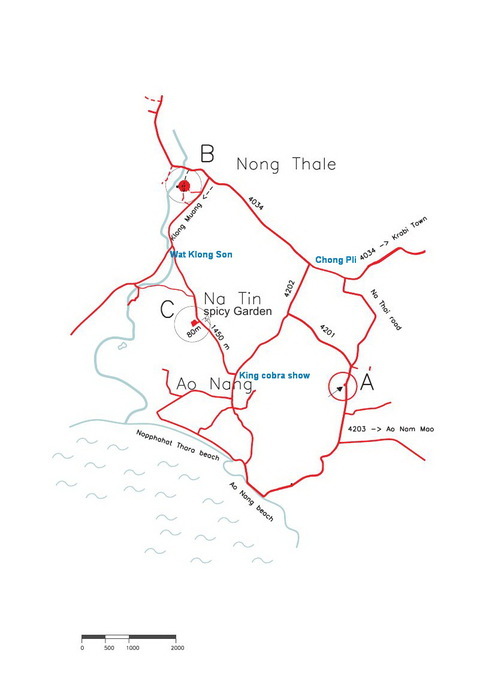 You can find here maps for bicycle tours around Ao Nang also. 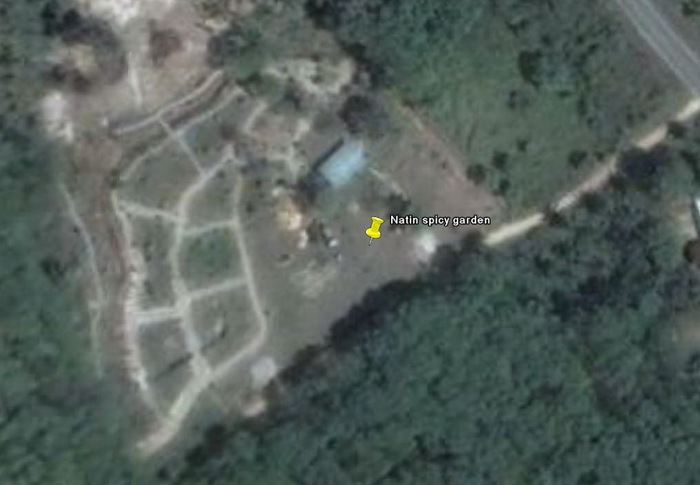 Google Earth updated and refined this part of the world just when we were constructing the paths. Part of the paths is in the shade of trees. This was the situation at 3-3-2007.